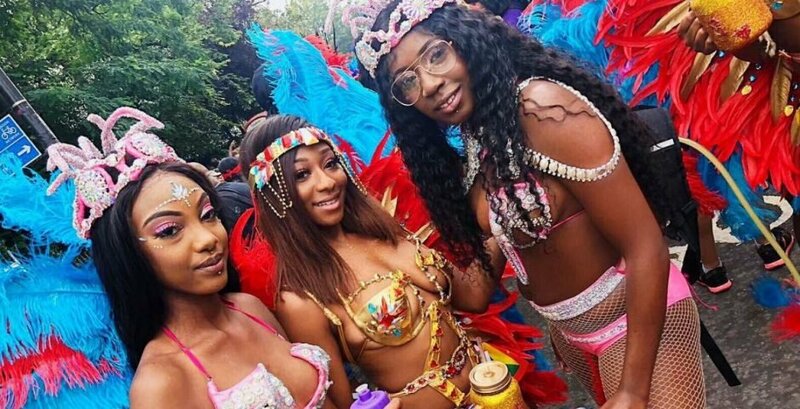 This Bank Holiday weekend, the streets of London were filled with the sound of music and dancing in one of the biggest celebrations of Caribbean culture London has to offer. Sure, it might have rained a bit, and the tabloids might bang on about the arrests, but Notting Hill Carnival never disappoints, and neither do the outfits. West London was brimming with flamboyant looks as carnival goers donned feathers, glitter, and edgy outfits galore. Here are the absolute best of the bunch. Carnival in London ✔️ .. never again..